The 26-year-old Spaniard fights past Mikael Ymer in the final of the ATP Challenger event. 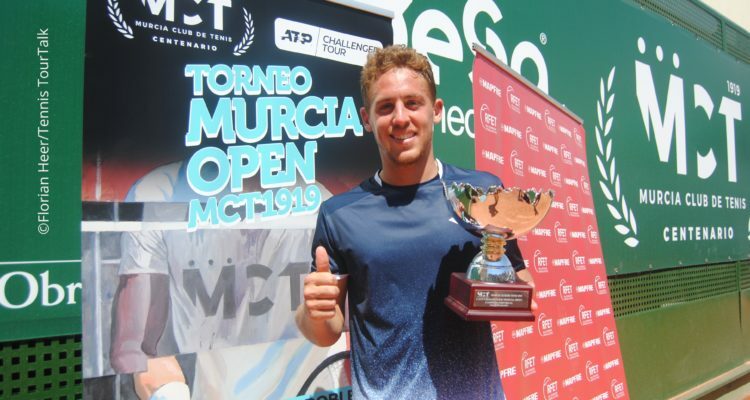 Roberto Carballés Baena clinched his sixth ATP Challenger title at the inaugural €46,600 Murcia Open. In front of packed stands at the Murcia Club de Tenis, the No. 2 seeded Spaniard fought past 20-year-old Mikael Ymer of Sweden, rallying 2-6, 6-0, 6-2 on a Sunday full of shunshine in south-eastern Spain. It was Ymer, who set the tone early and capitalized on his first break point when Carballés Baena, the current World No. 113, missed a backhand shot down the line. The NextGen ATP star from Stockholm was quick on his feed, overpowered his opponent from the baseline and gained another break in the seventh game. After 40 minutes Ymer served the opening set out. Carballés Baena started to find his rhythm with the start of the second set, breaking the Swede’s serve for the first time in the second game, but needed some help from the net cord. From then on, the Tenerife native was in control and pushed the match the distance after one hour and 13. Ymer, who seemed to lose his focus, took a toilet break, but Carballés Baena started to level things up. The local favourite broke serve in the sixth game and secured victory in two hours and six minutes. 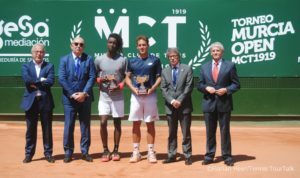 By lifting his first trophy of the season, Carballés Baena earns €6,190 in prize money as well as 80 ATP-Ranking points. He captured his last title also on home soil at the Sánchez-Casal Academy in El Prat de Llobregat in October last year. “It is a great tournament, the best Challenger I have played over the past seasons. I am very pleased to leave this place here with the trophy in my hands. “The clay-court season is kicking off now and I will try to continue to play well on the ATP Tour in order to improve my ranking,” said the Spaniard, who will rise to World No. 103 in the ATP-Rankings on Monday. Carballés Baena will be back in action at the Barcelona Open Banc Sabadell. 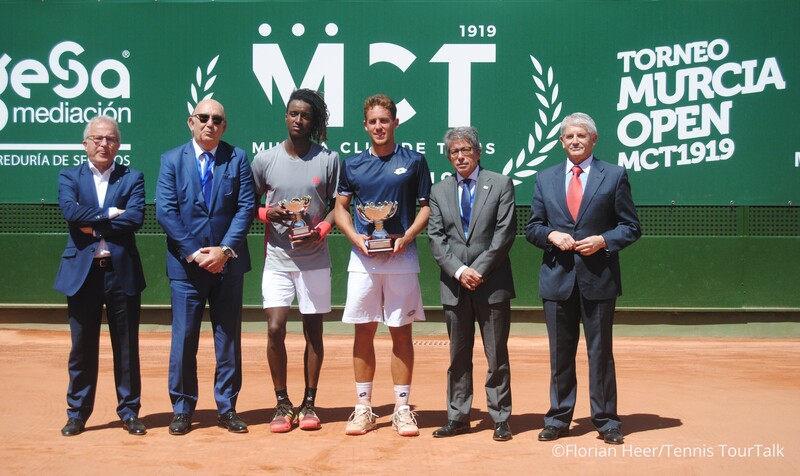 This entry was posted in ATP Challenger Murcia, ATP Challenger Tour and tagged ATP Challenger Tour, Mikael Ymer, Murcia Open, Roberto Carballés.